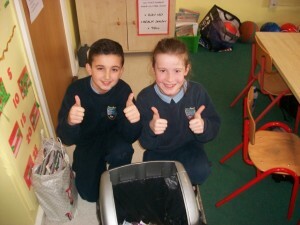 The first Green Flag award is all about recycling. 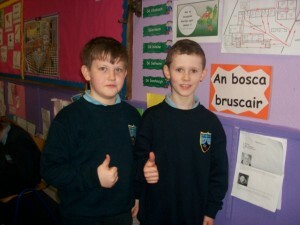 A lot of hard work went into achieving the prestigious award. All the children, teachers and parents got involved. 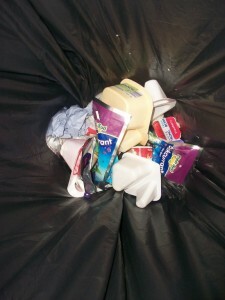 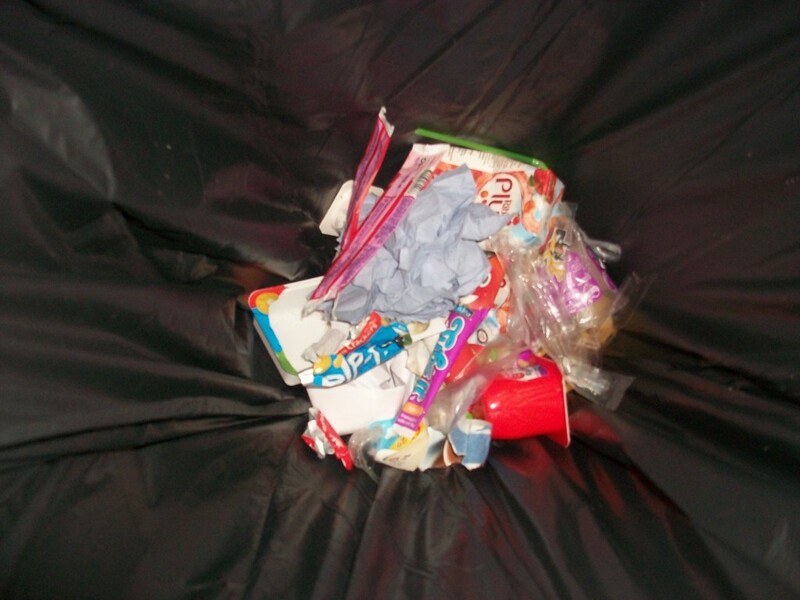 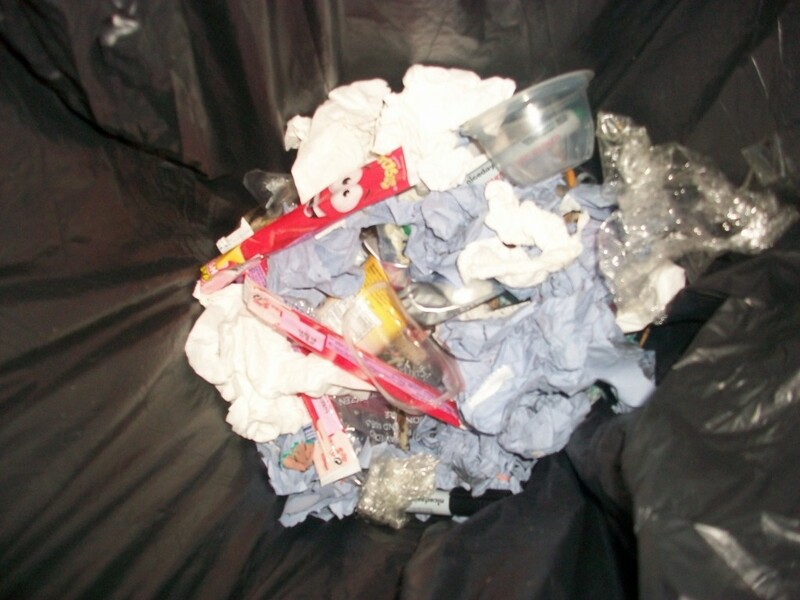 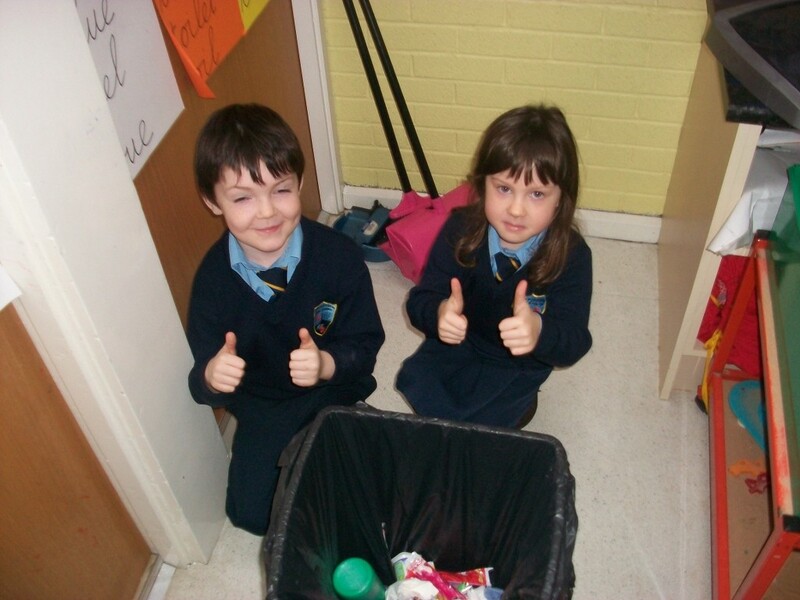 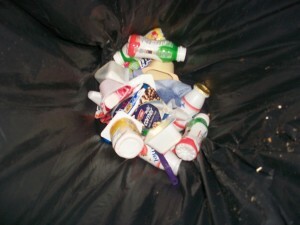 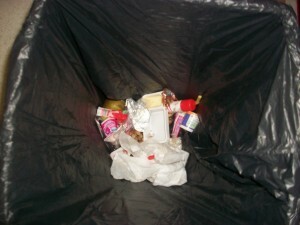 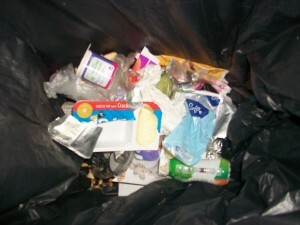 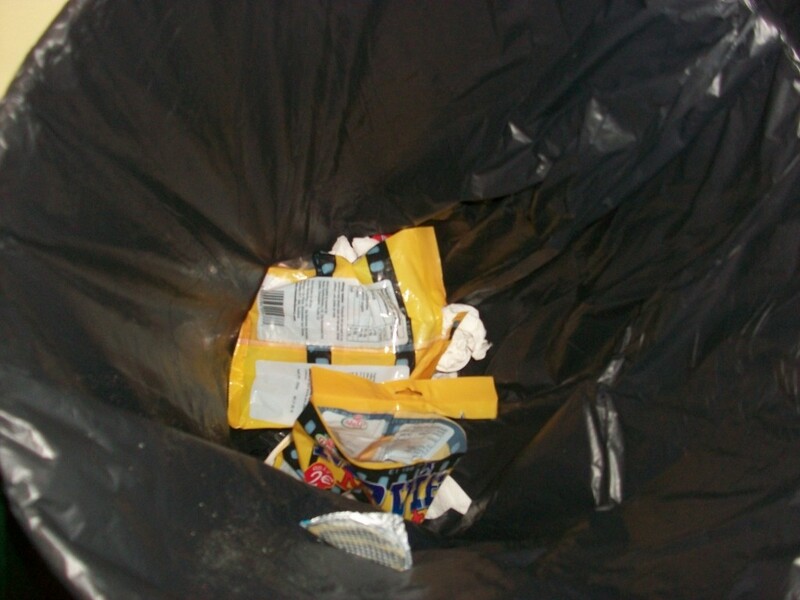 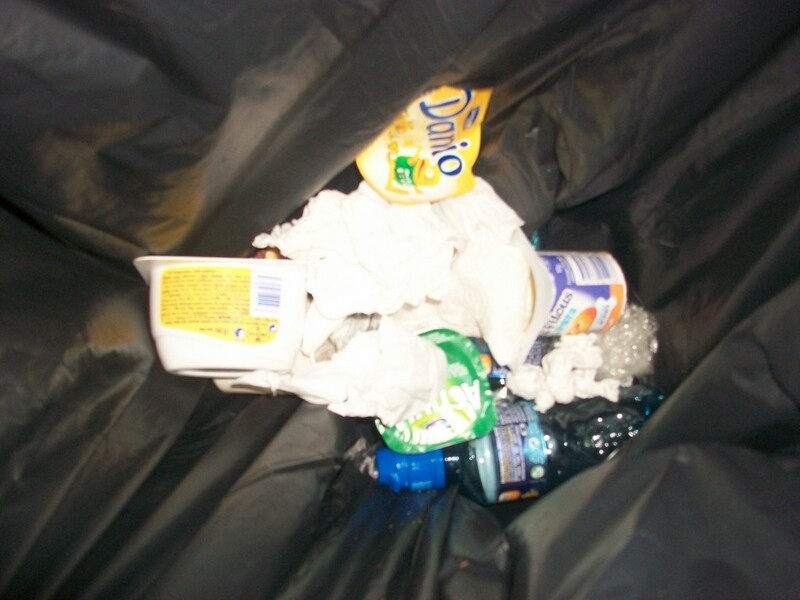 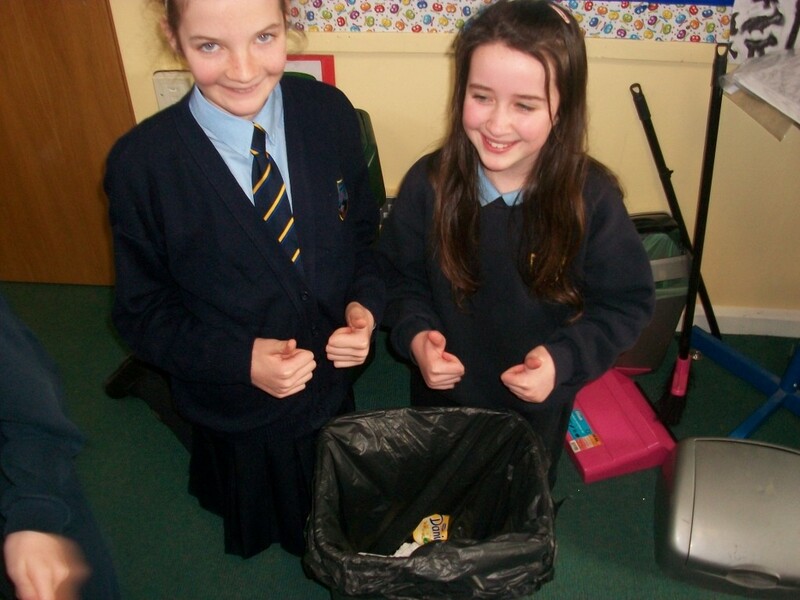 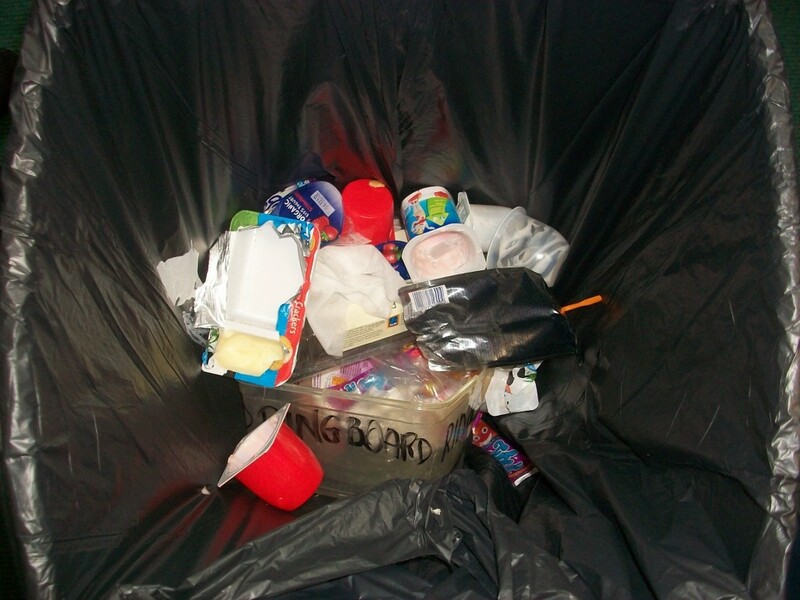 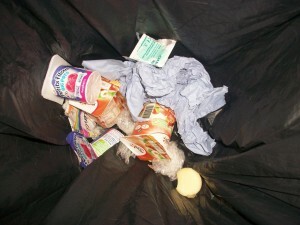 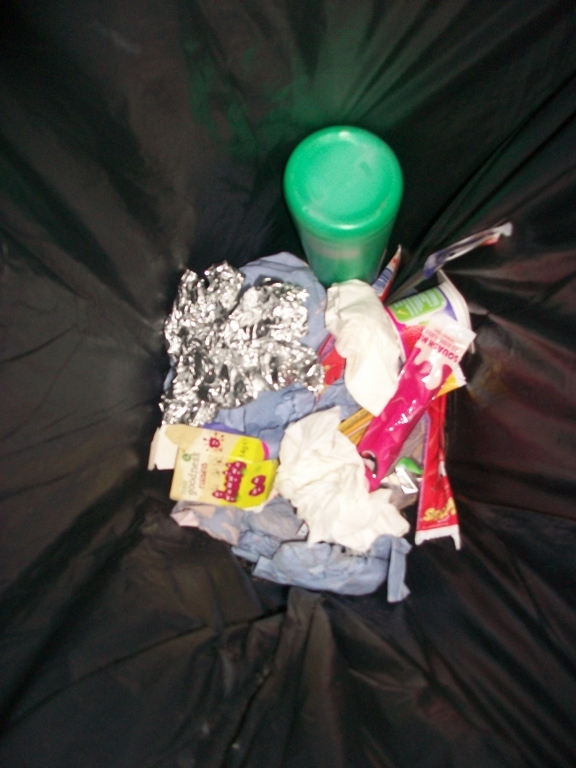 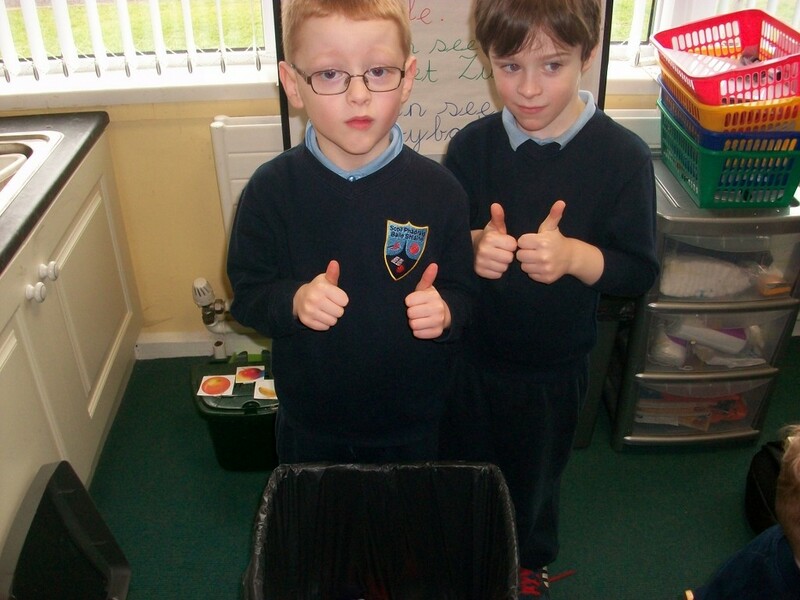 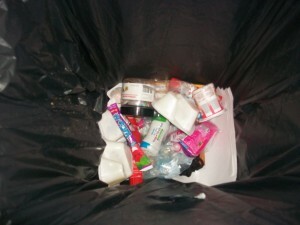 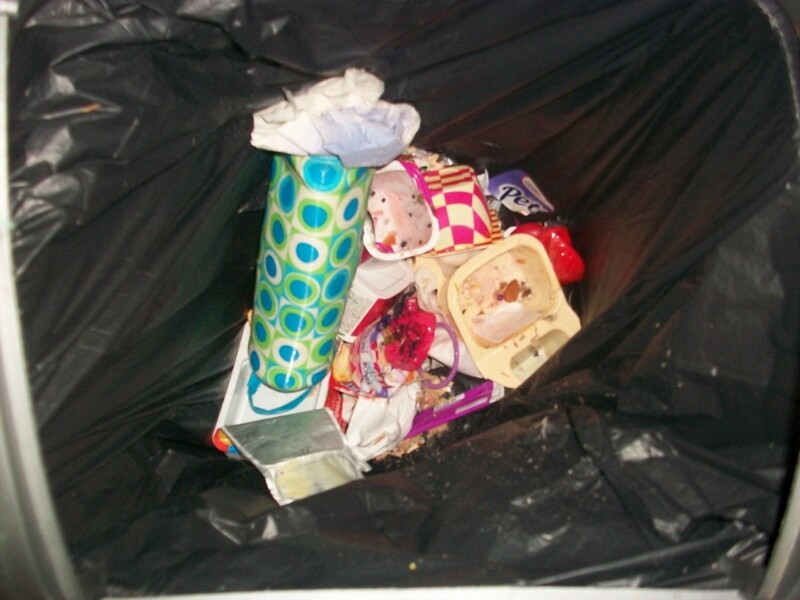 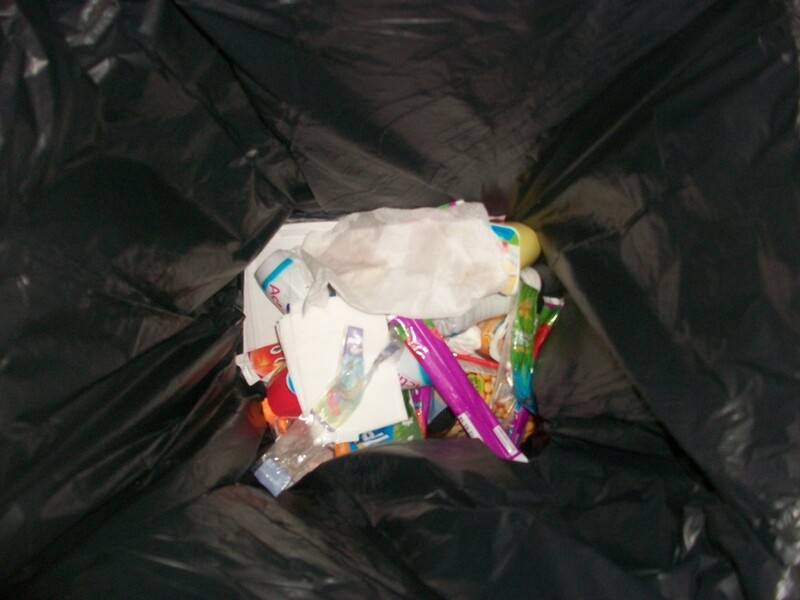 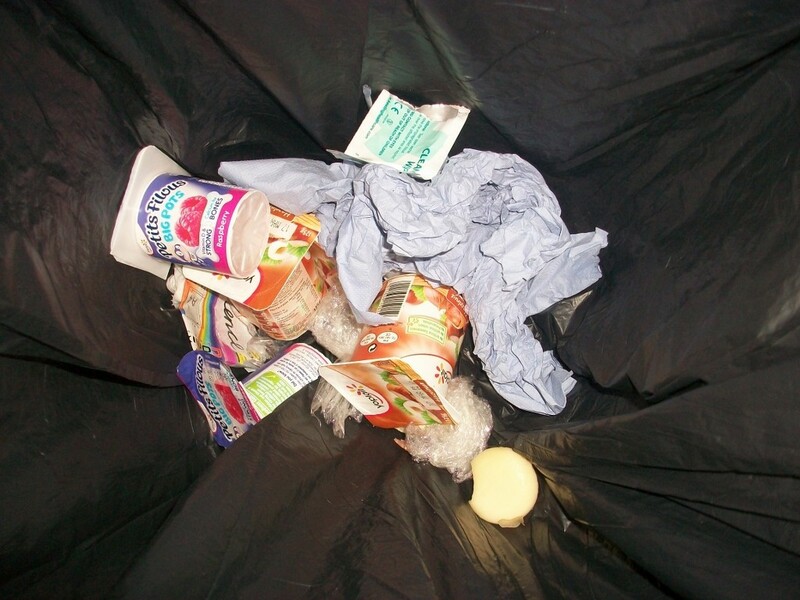 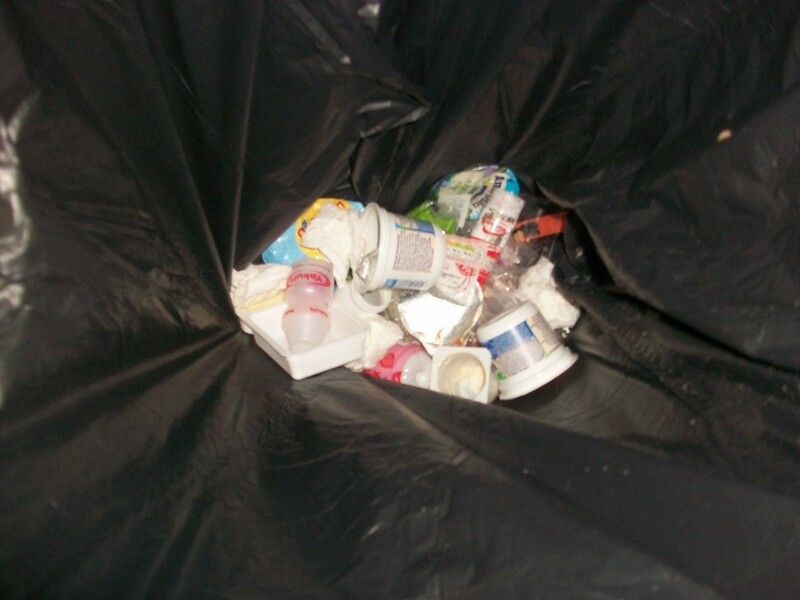 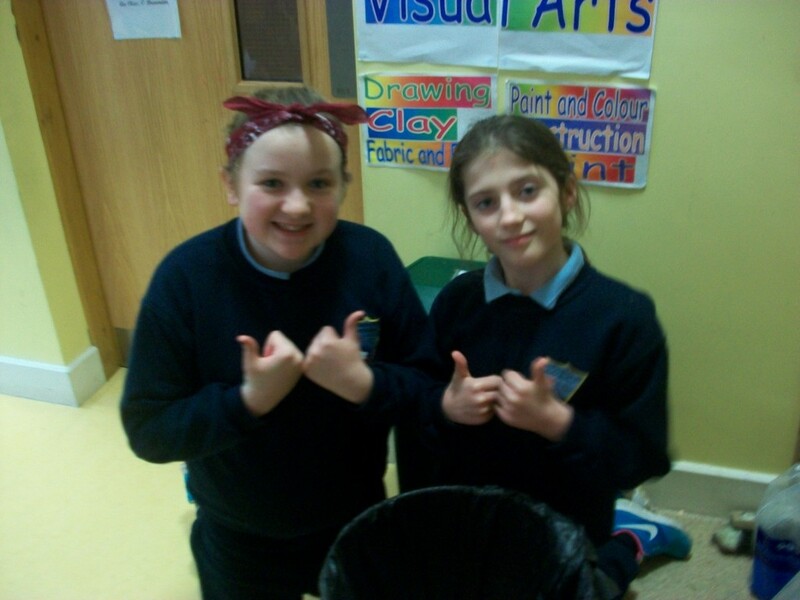 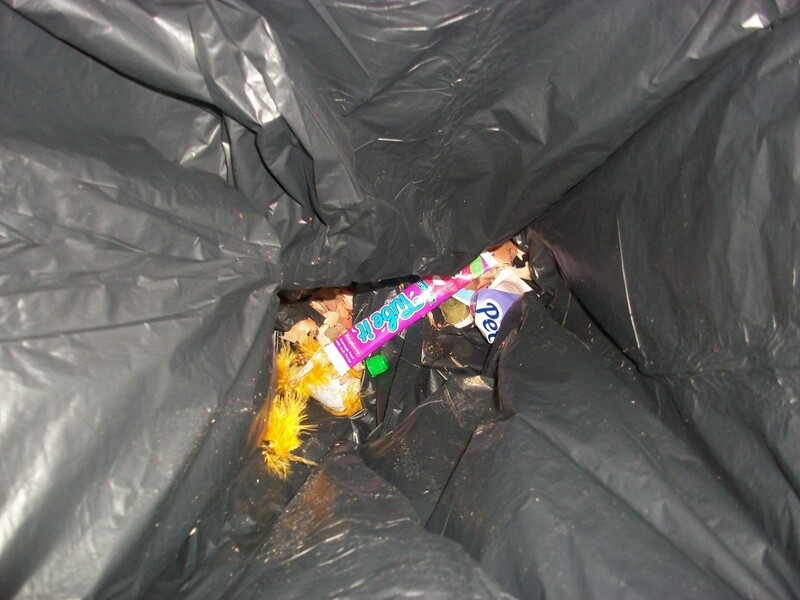 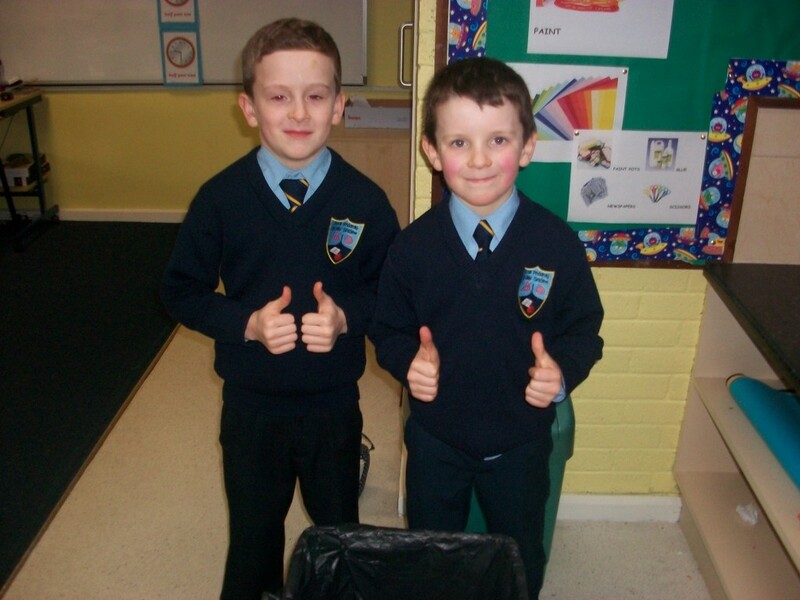 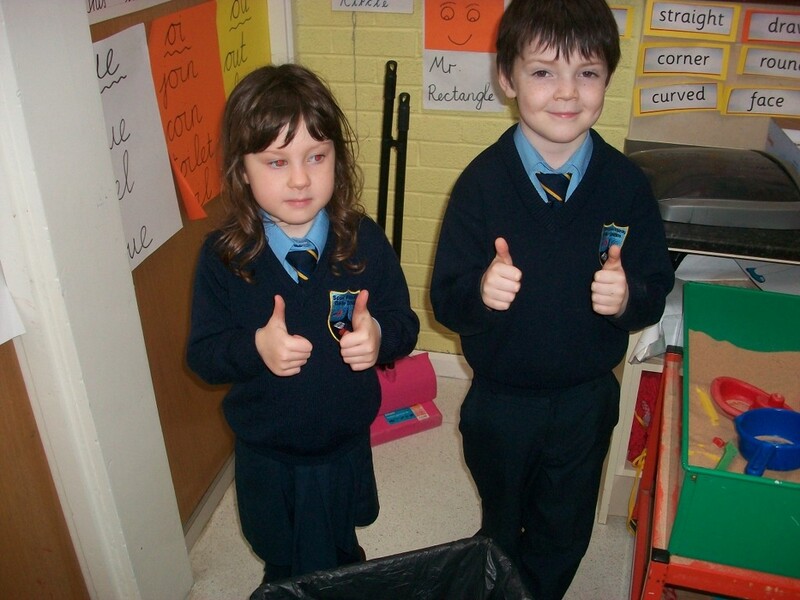 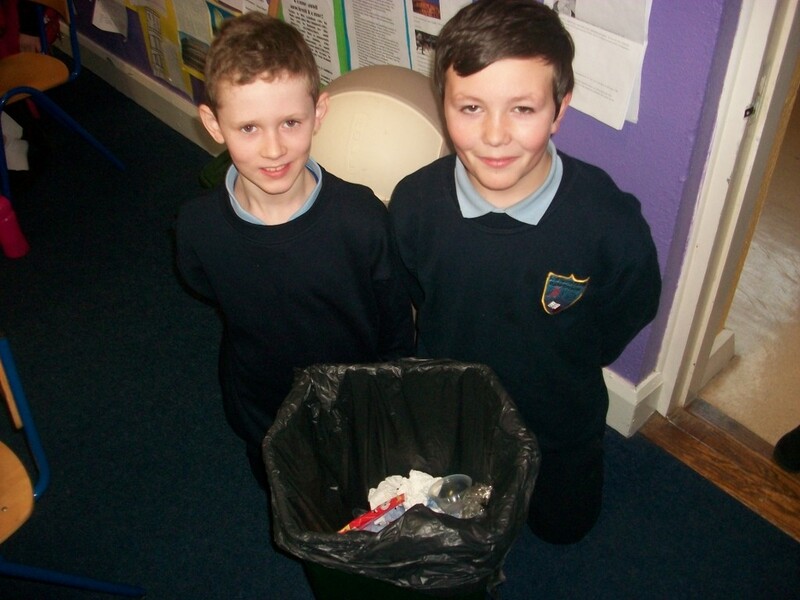 Before the initiative started, much of our rubbish would have been going into 1 bin, heading straight for landfill. 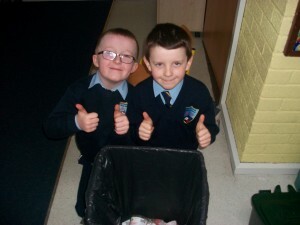 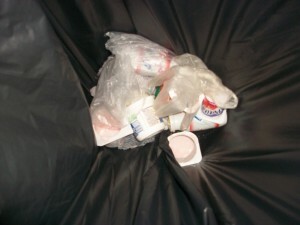 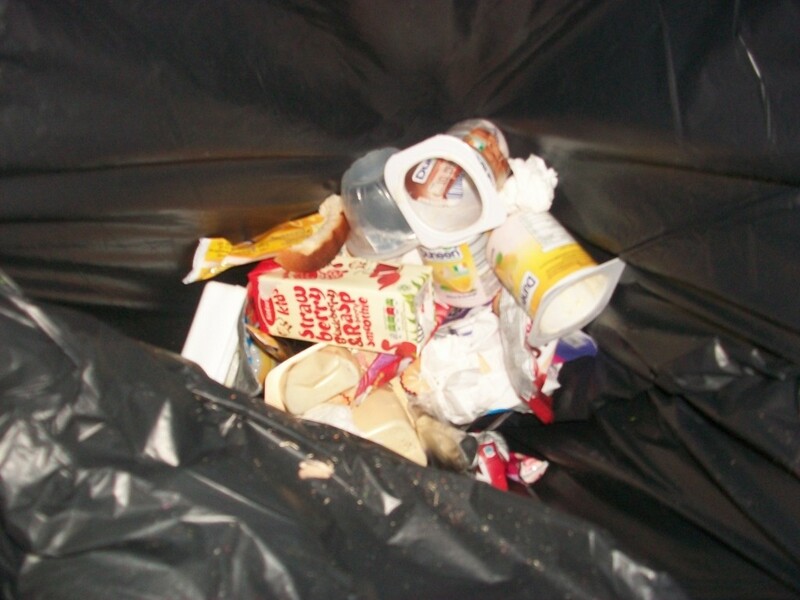 a white bin for fruit peelings; a green bin for paper, card and recyclabes; and finally a black bin for anything else. 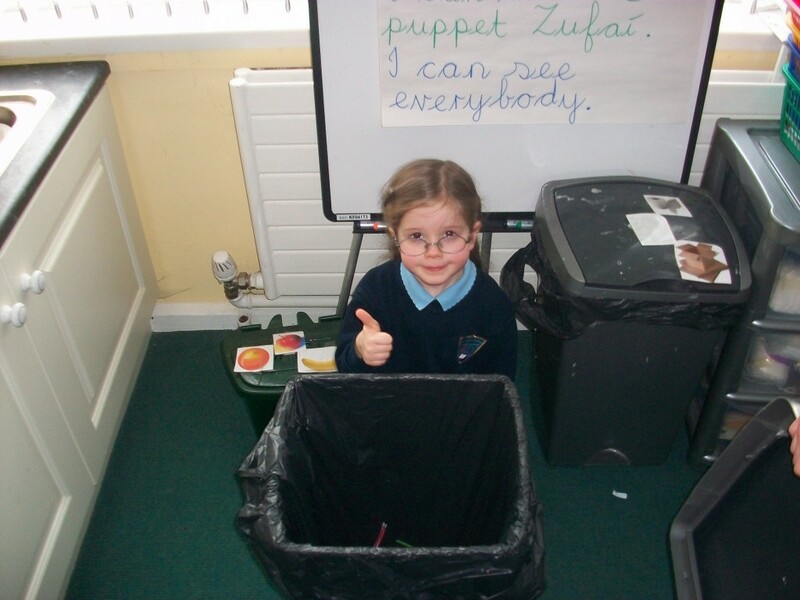 The children are encouraged to 'stay green' around the school, at home and in the wider environment. 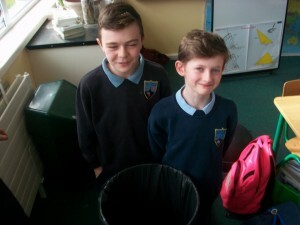 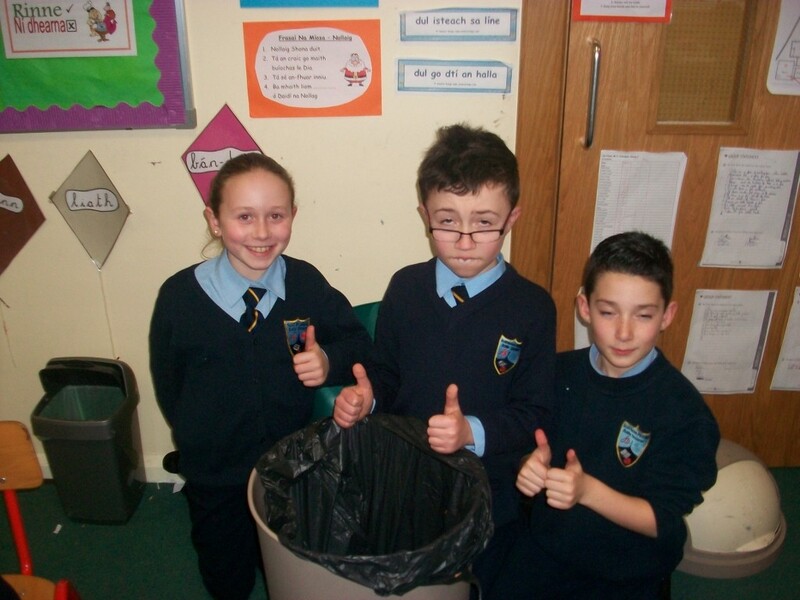 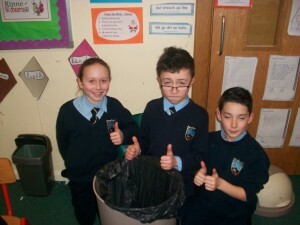 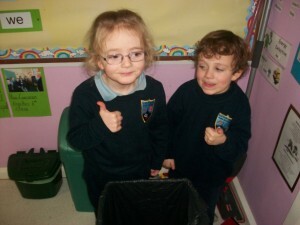 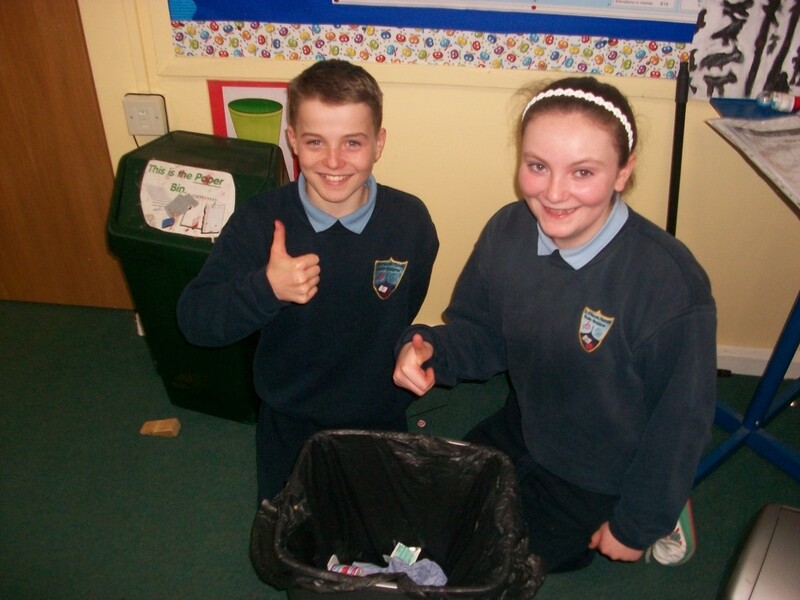 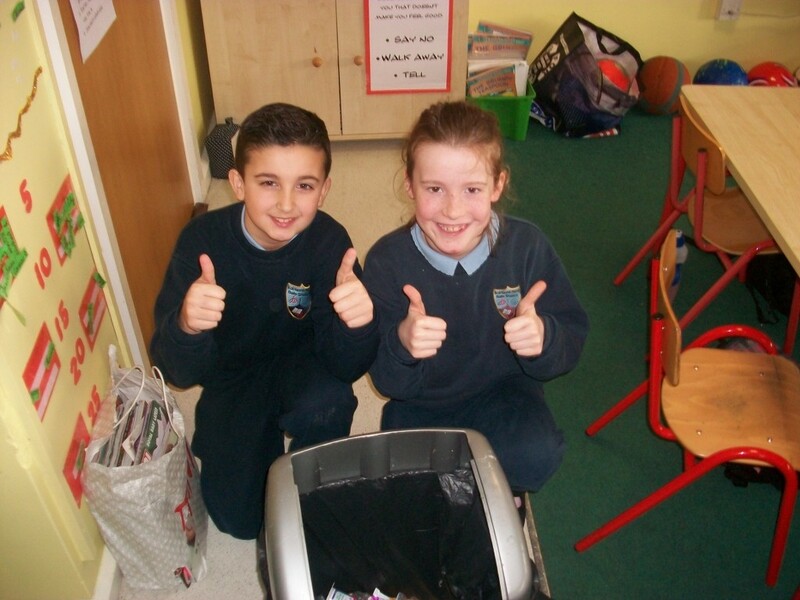 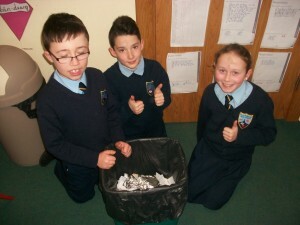 Children from the middle - senior classes are chosen for 'The Green Team' to make sure we all do our part to keep our school clean. 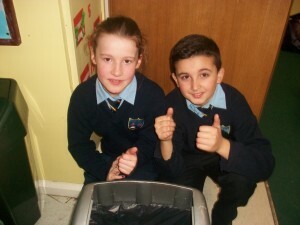 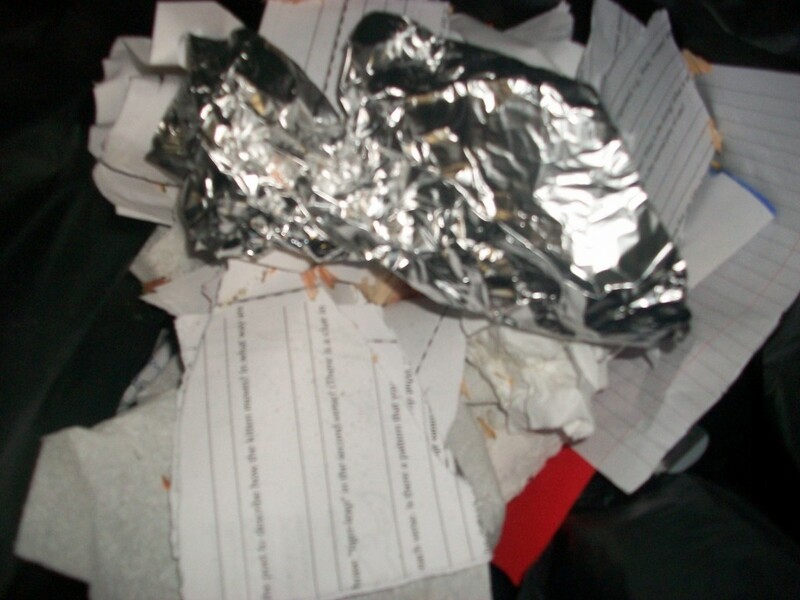 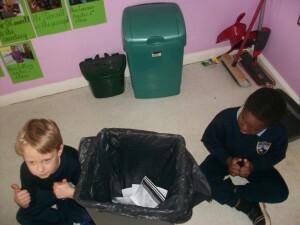 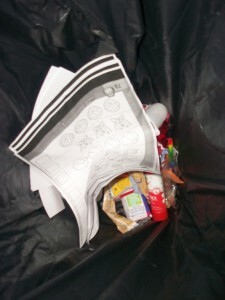 Other strategies to help keep our school clean include: teachers photocopying on both sides of pages; classes taking turns picking-up rubbish around the school; collecting 'ringos'; encouraging the use of re-usable lunch boxes and drinks bottles and also re-using materials for art creations. 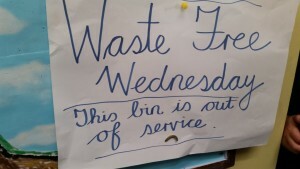 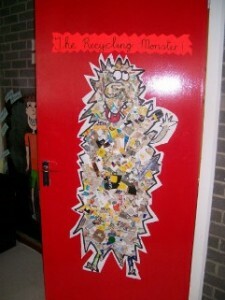 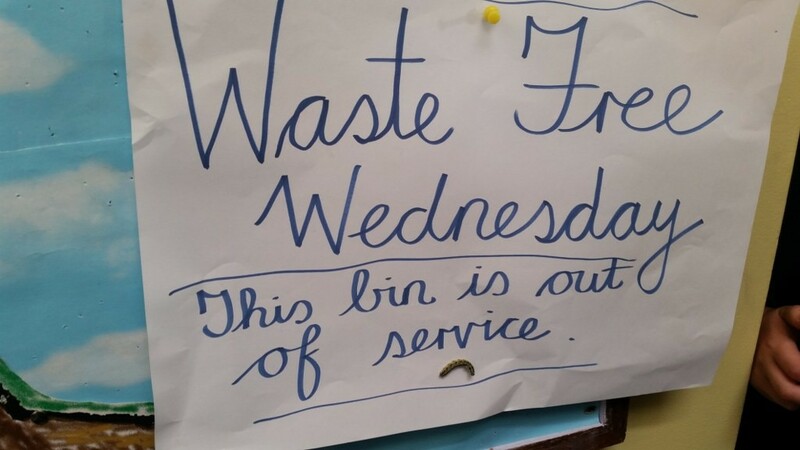 Each year the school also organises a Green Day. Everyone dresses up in green, all lessons are based on green activities and the classes even go out around the village collecting rubbish. It's a fun day out and allows everyone to play a part in maintaining our locality. 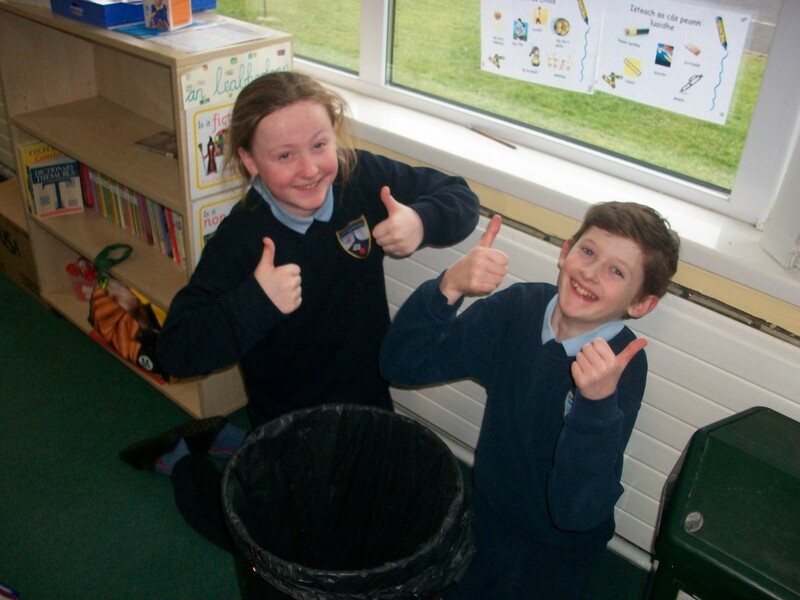 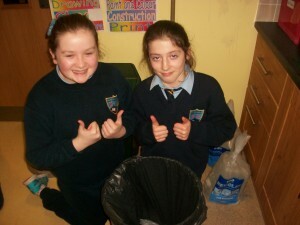 from the Green Schools Ireland website. 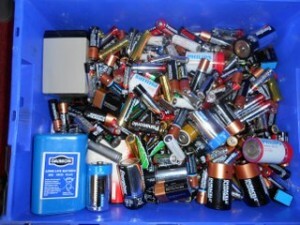 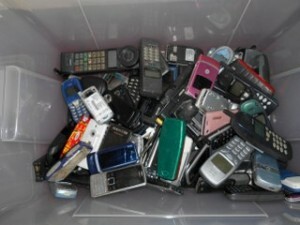 Mobile Phones and Batteries for Recycling !